New album, SPLITTING THE SEAMS, available Oct. 26, 2018! Two new club shows added! 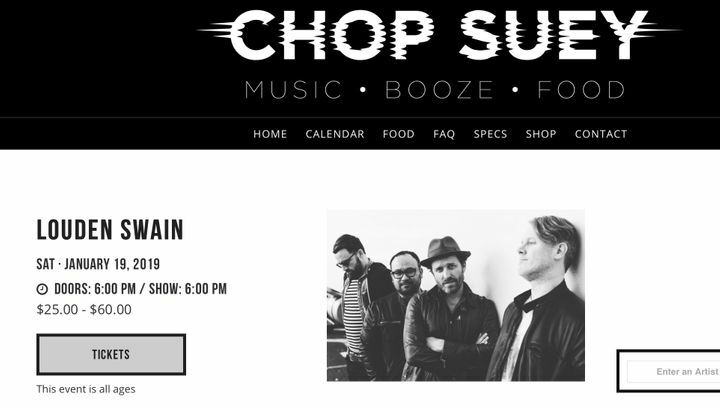 Get your tickets to our upcoming Atlanta (Decatur @Eddie's Attic) and Seattle (@Chop Suey) shows! See you on the road! Flew to L.A. from Denver for this band some of the best indy rock out there. Thanks for a great show at a really fun venue. Louden Swain at Rockwood Festival in Offenbach has been the best event of the year.